A parfait that's quite the perfect treat. Crunchy muesli forms the base with a creamy hung curd mix resting on it and topped off with butter tossed pistachios, almonds, sweet chopped dates and finally some raisins. Deliciously healthy! A colourful and flavourful Indo-Chinese dish which comes with fresh vegetables like baby corn, broccoli, carrots, zucchini and mushrooms tossed in spicy and savoury hot garlic sauce. Served with stir-fried rice tossed with a medley of veggies like carrot, beans and golden fried garlic which is perfect for your main course. Broccoli may not be served if not in season. Baked snack: We've stolen this delish cookie straight out of a fairy-tale! Sweet, buttery cookie dough is dipped in sugary, colourful edible confetti and topped with creamy white-chocolate and sugar coated crunchy apple bits. A cookie that is truly is as good as it looks! 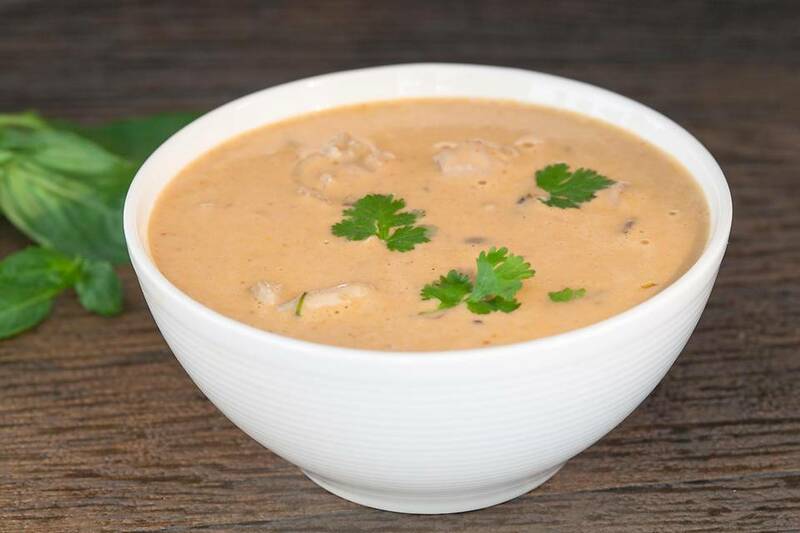 In the 19th century, duck or chicken was served with a creamy coconut broth that was flavoured with fresh, peppery galangal which over time evolved into the famed Thai soup that we all know of today – The Chicken Tom Kha Soup. This delicious soup consists of a creamy coconut milk base that's flavoured with aromatic spices and contains perfectly cooked, succulent chunks of chicken. Oriental cuisine is quite synonymous with soulful meals, and this Thai Chicken soup is truly made for the soul! Did you know that a cowboy named Steve Henson invented the ‘ranch’ dressing back in the 50s? He eventually sold the recipe of the dressing to a mass producer for $8 million! Chicken rested overnight with a creamy and tangy house-special ranch-dressing of caper, jalapeño, herbs, paprika, yogurt, cream, dijon mustard and lemon is seared, topped with cheese sauce and baked to retain the juices. Smoked-paprika and bell-pepper sauce and assorted veggies sautéed in butter complete your cheesy KETO-friendly meal.